I want to tell you about my BMV experience I had yesterday because….get this….it really made my day! When I changed my name on my driver’s license, I neglected to change it on the car registration and title. Not sure why that didn’t occur to me at the time but oh well. I was starting to get worried when I didn’t receive anything in the mail about my plates especially after my sister Casey was talking about how much she just spent on their plates so I decided I better go to the license branch and get it all taken care of. They are closed on Mondays and open late on Tuesday, so I figured Tuesday would be the day to go and I wouldn’t have to take off work. I was expecting this huge long wait when I got there but to my great surprise, when I clicked on the screen to get the next available ticket, I got 513. The screen also tells you what number is up and it was 512!!! Not a long wait after all. 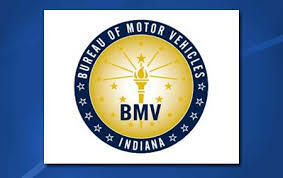 The lady at the number 1 station called me up and I can’t remember her name (if she told me), but wish I could so I could let them know that she was the friendliest, nicest person I have ever encountered at the BMV. She got my name changed on the car registration and title, gave me the temporary paper for my registration, took my payment and provided me the month and day sticker for my plates in about 10 minutes time! It was just a fabulous experience!!! ← We Know How To Party!!! !